This month we’re gearing up for back to school with some new Parragon Books! Paragon’s educational learnalot series is designed to be a fun interactive way for kids to build upon their skills colon including ABC’s, one two threes, shapes, colors, and more. The fun activities are designed to build confidence in young children, and are made so parents and children can complete them together. 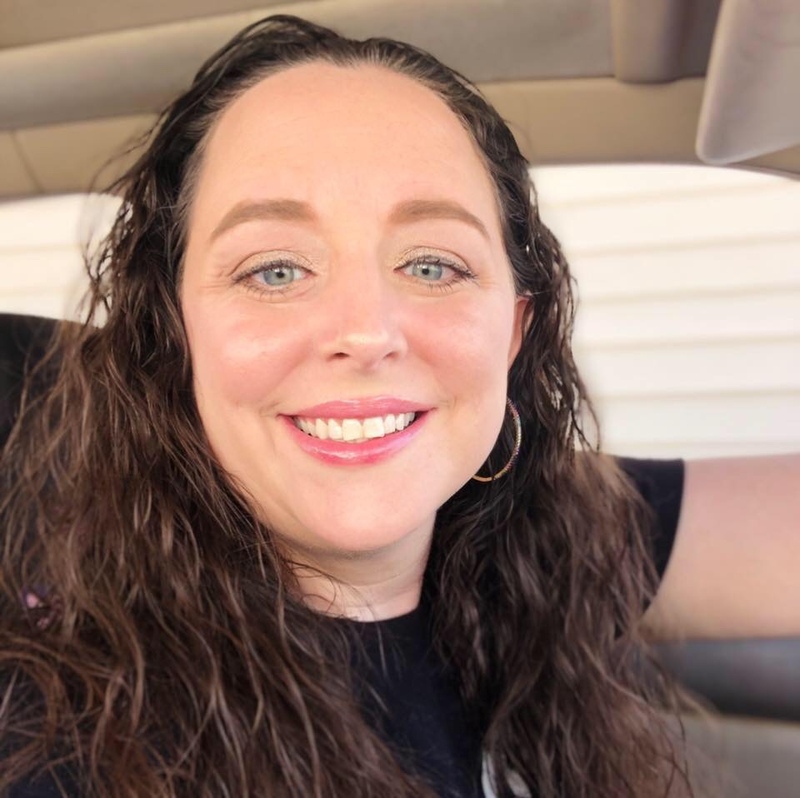 With my littlest starting Kindergarten this year, and my youngest in preschool – I’m reminded of the amazingly important and life changing role I can play in helping my children adjust and succeed. These books give me the opportunity to spend some quality time with my children everyday — and help them learn and reinforce materials they are already learning in school. Book Description: Get Ready for Preschool Learning Pack Ages 3-5 is filled with workbooks carefully created for little learners. This pack includes five workbooks – Alphabet, Counting, Colors, Shapes and Animals – as well as 250 stickers to reward good work. These workbooks meet the national early learning standards, perfect for helping your little ones learn. Our Review: Cora, my preschooler loves this learning pack. She brings it to me every night ready to learn! The stickers are a nice touch, because she can add them to the top of the pages as she completes them. 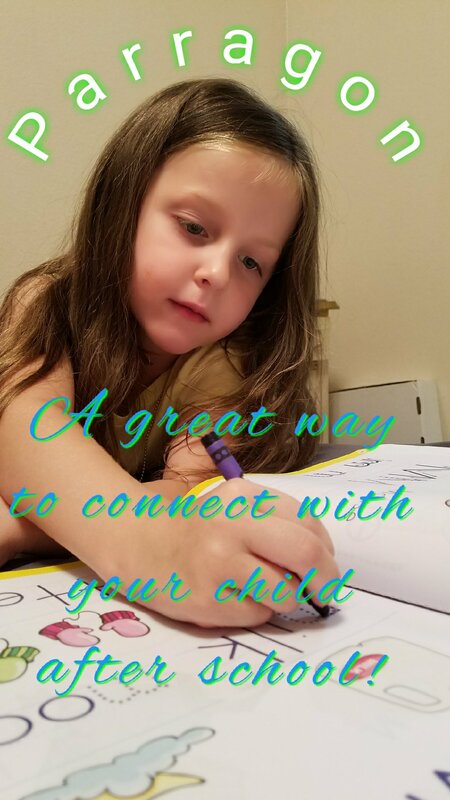 It is a wonderful pack to encourage learning and one on one time with your child. The Learnalots Let’s Learn Preschool: Discover the Fun in Learning! Book Description: The Learnalots Let’s Learn Preschool is a fun interactive workbook for ages 3-5. This educational workbook has eight subjects, including ABCs, 123s, shapes and much more to build academic skills. The fun activities are designed to build confidence in young children and for parents and children to complete together. This book also includes over 100 reward stickers. The Learnalots will inspire your child to learn something new every day! Our Review: Cora, my preschooler had fun with this workbook. It is packed with super fun activities that keep her interest. They can enjoy coloring, tracing letters, learning about animals, 123s, shapes, letters and objects in their daily life. We also loved that it had 100 reward stickers. 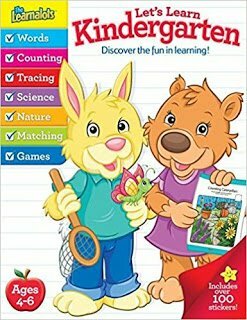 Book Description: Get Ready for Kindergarten Learning Pack Ages 4-6 is filled with workbooks carefully created for little learners. This pack includes five workbooks – Science, Social Skills, Writing, Phonics, Writing, and Math – as well as over 250 stickers to reward good work. These workbooks meet the national early learning standards perfect for helping your little ones learn. 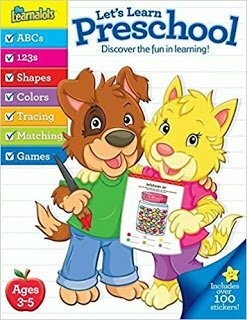 Our Review: Allie, my kindergartner had fun with this workbook. It is packed with super fun activities that keep her interest. They can enjoy coloring, tracing letters, learning about animals, 123s, shapes, letters and objects in their daily life. We also loved that it had 100 reward stickers. The Learnalots Let’s Learn Kindergarten: Discover the Fun in Learning! Book Description: The Learnalots Let’s Learn Kindergarten is a fun interactive workbook for ages 4-6. This educational workbook has eight subjects, including words, counting, tracing and much more to build academic skills. The fun activities are designed to build confidence in young children and for parents and children to complete together. This book also includes over 100 reward stickers. The Learnalots will inspire your child to learn something new every day! The Learnalots Let’s Learn Second Grade: Discover the Fun in Learning! Book Description: The Learnalots Let’s Learn Second Grade is a fun interactive workbook for ages 7-8. This educational workbook has eight subjects, including nature, reading, writing and much more to build academic skills. The fun activities are designed to build confidence in young children and for parents and children to complete together. This book also includes over 100 reward stickers. The Learnalots will inspire your child to learn something new every day! Book Description: 300 stickers to get you coding and creating your own computer world! Have you ever wondered whats inside a computer, or how your app or game is made? How do we put simple instructions together to tell a computer what to do? Get coding and discover the fact-packed world of technology, with activities, puzzles and mazes to keep you plugged in. Our review: We were also sent this book to review. It is the perfect way to get kids excited about coding and creating their own computer world! Children can complete all kinds of activities, like word scrambles and mazes, as they learn about motherboards and even how radio signals work in order to connect to the internet. It also has 300 stickers to help complete activities! How fun! Another great way to bond with your children after school is by reading to them before bed! We have been reading Bedtime Prayers by Stephen Whitlow to help us wind down and pray for our family. It is a great book to snuggle up with. This board book includes precious illustrations with soft colors and sweet poems, prayers, and songs for children to recite and sing along to. Parragon was awesome enough to offer a giveaway to one lucky winner. You may choose from one of the books mentioned above. The giveaway ends October 3rd, 2017 at 11:59 p.m. CST. The giveaway is open to US residents, age 18+, only. You will contacted by email, and have 48 hours to respond before a new winner is chosen. Be sure to check out my other giveaways while you are here, and GOOD LUCK! Previous Apple Peanut Butter Nachos are a Great Snack! I know that The Learnalots Let’s Learn Kindergarten book will be appreciated as would the Bedtime Prayers by Stephen Whitlow. Like them all! I would choose let’s learn kindergarten! I would love the Get Ready for Preschool Learning Pack! Coding and Computers appeals to me. Many family members work in IT. I’m so excited to see the Coding & Computers activity books gm for our little ones! You can’t go wrong with any of the Preschool learning pack books. I would choose the Get Ready for Preschool Learning Pack for my little guy. He would benefit from this so much! Thank you for the great review of these packs. I would choose Let’s Learn Kindergarten.